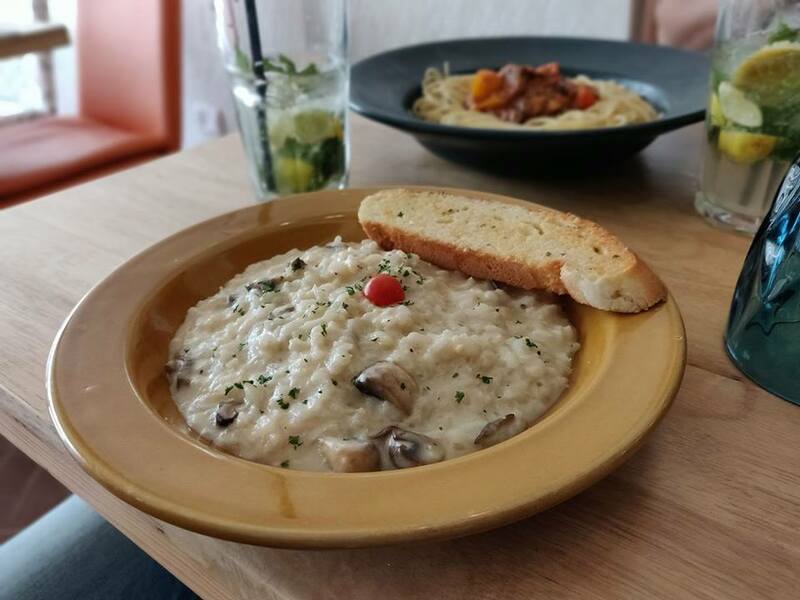 Elegant and intimate, Brick N Bean Cafe in Gurugram is reminiscent of a chic townhouse in an old English town. The fun pops of colours, old lamps and rich chocolate flooring make it perfect for small business meetings and personal gatherings!! So, whether you’re sitting in the easy chairs or swinging around on the jet-set mezzanine, it’s a total reprieve from the expected. In fact, you can sit down here for an early breakfast and still find yourself musing through the afternoon. Yet, while these features are enough to ensure you have a good time, the food..the food what’s really important! 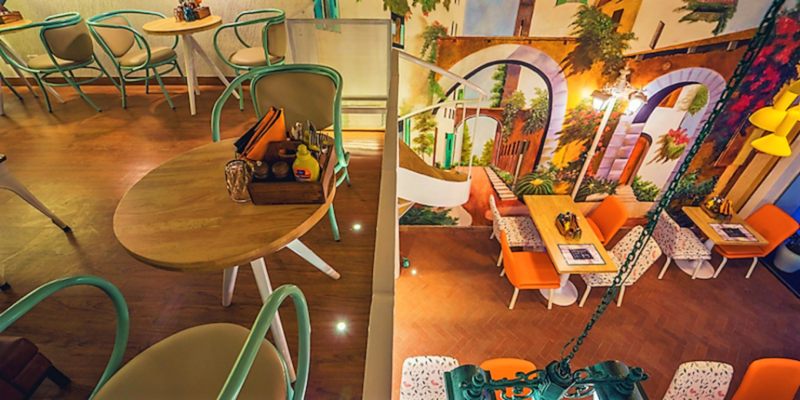 You’ll be spoilt for choice with their All Day Breakfast menu, the pizzas, warm waffles and soft, loaded burgers etc. 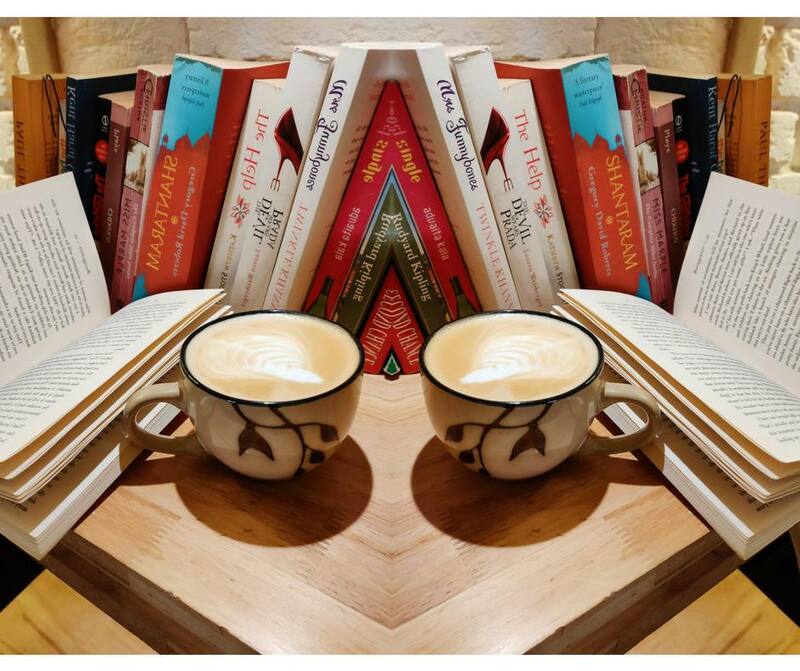 Brick N Bean Cafe is not just for the foodies or the business savvy millennials – it’s also for the bibliophiles. You can find a range of good reads tucked in each corner of the cafe. So, if you like something you wanna read, pick it up and read on with a warm cup of coffee. If you’re no stranger to good food and chic sights, then you’ve gotta check this out!